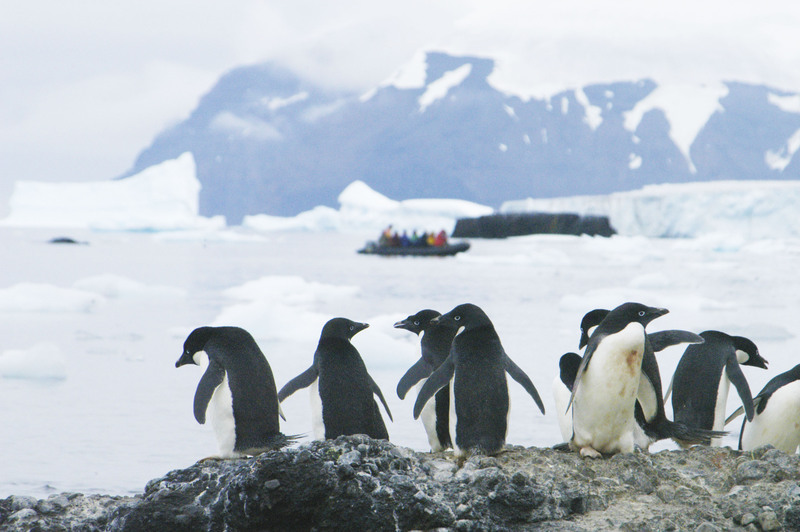 Adélie penguins are named after the wife of the French Antarctic explorer Dumont d'Urville. They breed in very large colonies, often 20,000 - 30,000 birds, sometimes more than 100,000, all around the Antarctic continent. Adélies are shallow divers feeding mainly on krill and other euphausiids. They seem to breed most successfully when krill is locally abundant. Their colonies are on snow-free gravel sites, and small stones are brought to the nest. After the female has laid, the males take the first incubation shift of two weeks, and then the parents swap. Both later go to sea in shifts to bring food for their young.